White Lodge Shooting School | White Lodge Shooting School is located near the medieval ruins of Thornton Abbey in North Lincolnshire and 8 miles south of the Humber Bridge. White Lodge Shooting School is located near the medieval ruins of Thornton Abbey in North Lincolnshire and 8 miles south of the Humber Bridge. The facilities include a selection of strategically placed shooting areas in woodlands and lakes, an undercover shooting area for wet and windy days and a lakeside lodge to seat up to 30 people. Whether it’s a fun day out with family and friends or a corporate event for valued clients, we provide a warm welcome and a safe, professional environment to enjoy your chosen activities. Our grounds are suitable for wheelchair users. 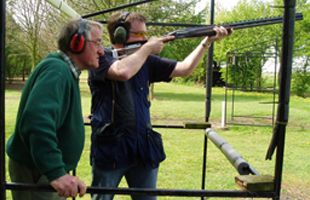 Shooting tuition for both game and clay pigeon shooters is available on either a one to one basis or in groups, either for beginners or the more advanced from England Internationals. Learn safety, etiquette and best practice from the experts. Our facilities include undercover shooting areas for wet and windy days. 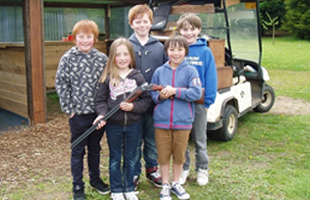 We can organise a fun-packed children’s birthday party for you (children 10 years and over) including activities such as clay shooting, archery, air rifles as desired. All children are strictly supervised. If you have any queries please don’t hesitate to contact us. Gift vouchers are available – call today for more information. Sporting rounds can be arranged for syndicates, hen and stag parties. Corporate shooting days and parties are catered with such household names as BP, Shell, Conoco, Clugston-Construction, Kimberley Clark and others among our clientele. 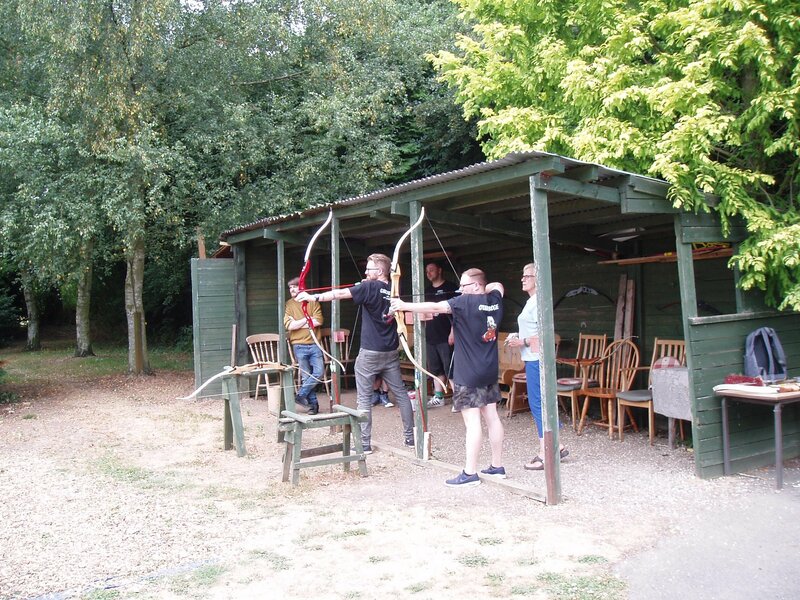 Archery and air rifle sessions are included if required on the corporate days. All activities are strictly supervised. Great Archery and/or Air Rifles Special Offers for groups and parties from 18th feb til 30th April. Bring 8 people and only pay for the price of 7 people! Beautiful, scenic gardens with lakes and woodland. Feel free to bring along anyone over the ages of 9 years old. Brilliant afternoon at white lodge shooting school, many thanks for your hospitality. If you're wondering if you should give white lodge a try then don't it is brilliant. Brilliant afternoon at white lodge shooting school, many thanks for your hospitality. If you're wondering if you should give white lodge a try then don't it is brilliant. I just wanted to send a quick note to say thank you very much for a brilliant event last Saturday. Everyone had such a good day and really enjoyed both the shooting and archery. You all made the experience really fun and interactive, and I've had nothing but positive feedback from the whole group. Many thanks for today's short notice clay pigeon shooting experience. My 15 year old son thought it was extremely good and will certainly visit again. Thanks again for Rob's expert tuition and encouragement, A very worthwhile experience. Hi, just wanted to say what a brilliant time we all had when we did the clay pigeon shooting and archery. The organisation and people involved really made the afternoon for us. I'm sure we'll be back! What an amazing time we had for Simon Harris stag, great people, great tuition, awesome location, we will be back no question.